New Orleans Claws — CJ Zilligen Design Studio, Inc. 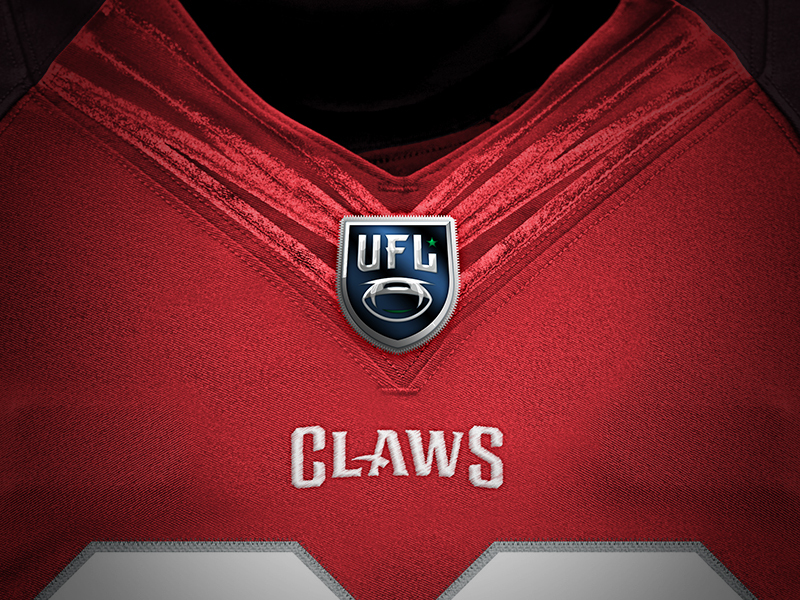 The New Orleans Claws are a fictional football team that is part of the Ultimate Football League. The Claws play in the Atlantic Division of the Great East Conference. The New Orleans franchise, named the “Claws”, has a visual identity built around the crawfish and its importance in New Orleans culture. A freshwater shellfish that is considered a Louisiana delicacy, the crawfish has long been known as a symbol of the Cajuns, or the French pioneers that were driven out of Nova Scotia and settled in the southern Louisiana area. In 1983, Louisiana named the crawfish the first-ever state crustacean. The Claws sport a coral red and burgundy (on the purple spectrum) color scheme with hints of silver trim. The primary logo features a “Craw de Lis”, or a crawfish arranged in the shape of the traditional fleur de lis, and is seen on the helmet and shoulders of the team uniform. 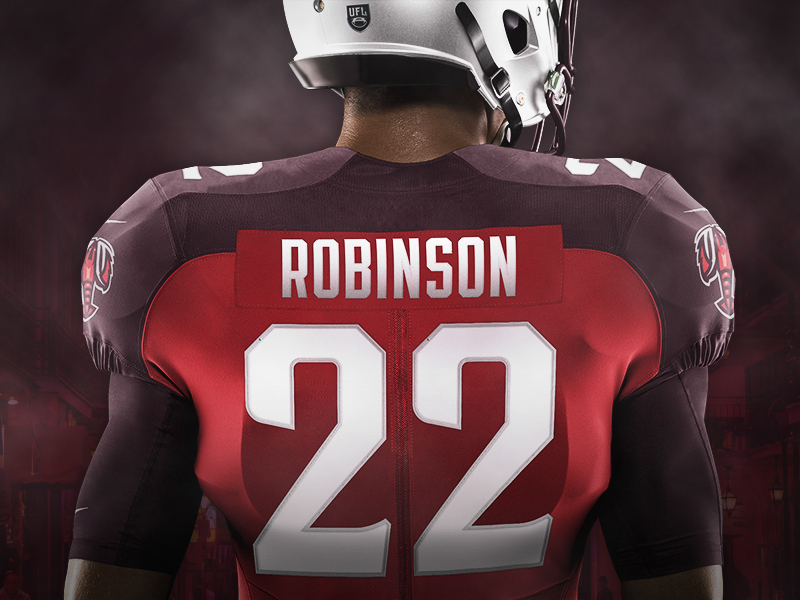 The custom typeface is a decorative block with varying contrasts between letters, creating a unique and ownable look.